NFL Commissioner Roger Goodell had to apologize for how the NFL handled football player Ray Rice's case in 2014. "I got it wrong from a number of levels: from the process that I led, to the decision that I reached," Goodell said. Rice was caught on an elevator camera punching his girlfriend in the face and dragging her outside. 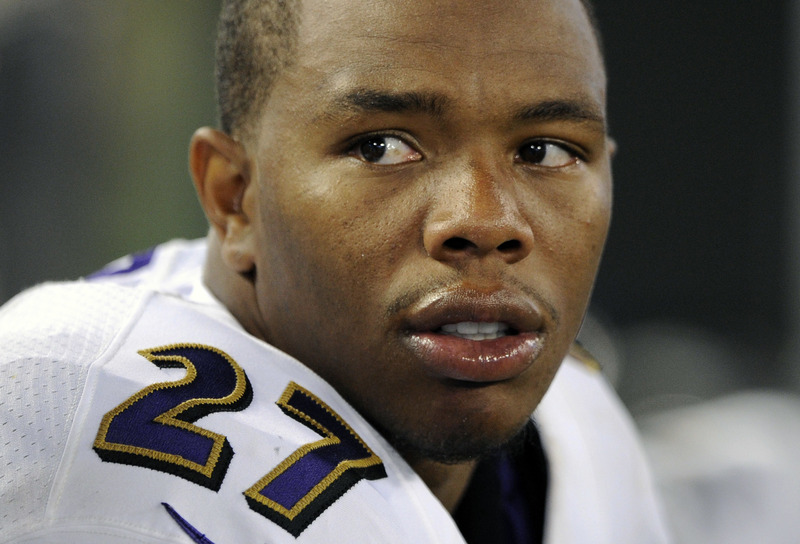 Following the incident, the NFL started several initiatives to combat domestic violence. Players arrested on domestic abuse charges now have to undergo some sort of batterer intervention program. Henry Algarin is the program director for one such initiative, the EAC Network's Batterer Intervention Program in New York City. Algarin said the people who are enrolled in these programs have to actually want to change their behavior. "They have to want to correct it. They have to see that it's wrong. They have to understand what part they've played and not to repeat the same mistakes again because the outcome will not change." The EAC Network helps people in need in New York City and Long Island. The batterer program is four months long and the class runs for two hours on Saturdays. The people who come into the class are court-ordered. Algarin said he's seen lots of people walk through his doors who are unwilling to make a change. "There's always a few that just went through the motions of attending the 16-week course, and they really have no intentions of changing their behavior. Unfortunately, chances are they'll probably commit the same offense again," Algarin said. The class aims to teach people to change their negative behavior to positive behavior. Algarin has seen a shift happen among the people that attend the program when they buy into what their counselours are telling them. "You'll see their body language. They're angry. They don't want to talk. They're not talking to the other participants. As weeks pass, they start to bond. The body language just changes, and they open up more." So, why do men start abusing their partners in the first place? Algarin said it's different for everyone, and for a program like this to be successful this question has to be answered for the person. Phyllis Frank, the Associate Executive Director for the New York Model for Batterer Programs, argues the reason is same for the majority of men. It's a sexist culture that encourages men to treat women disrespectfully. "For many men, they are simply marching to a drummer of a culture that has taught men to be somewhat callous to women." She argues all men are capable of changing their behavior. "Have I ever met a man who I do not believe is capable of interacting respectfully with me or with women in his life? I have not." John Broughton isn't as enthusiastic. Broughton, a professsor and psychologist at the Teachers College at Columbia University, who specializes in gender and violence, said there's a number of reasons why a man becomes abusive. "One of the reasons is because they feel their masculinity is being undermined or challenged in some way whether they're in a straight or gay relationship," Broughton said. "A court order is not going to change the emotional relationship between two people." Broughton said that despite the good intentions of these batterer programs, he thinks intervention would take much longer than sixteen weeks of group therapy. In his opinion, it would take 3 to 4 years of therapy and open communication between partners to make a permanent change.